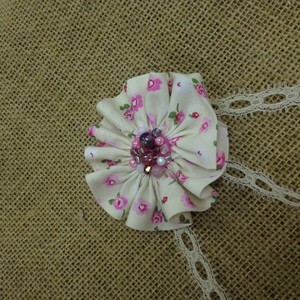 Create your own vintage style flower brooch either to wear yourself or give as a gift. 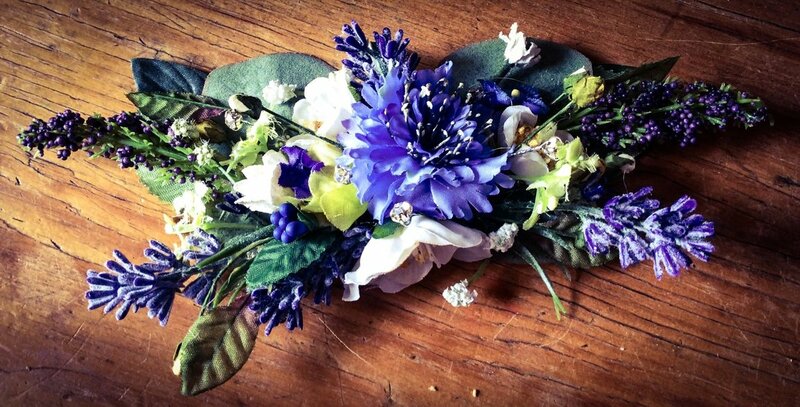 You could even attach to a hair piece for a completely different look?! Bias binding, lace, felt square and template, brooch back and a selection of beads and sparkles.